Are you vacationing in Japan? Do you love Japanese food? If you answered, "yes", to either questions, then this app is for you! ✔ Detailed pictures of every definitions! With Japanese Food Guide you can pull up a picture and show the restaurant staff exactly what you want. No more guessing. 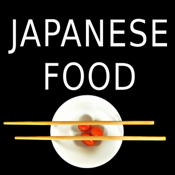 If you love this app, please try our other app Sushionary which has similar functionality for Japanese Sushi.